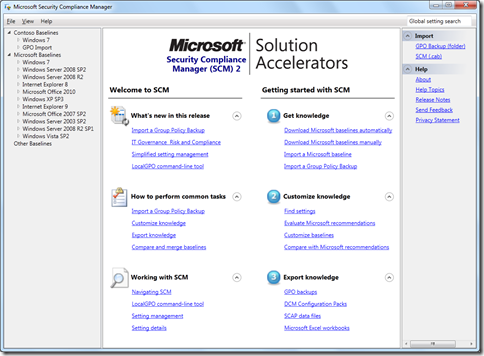 Microsoft has made available the final version Microsoft Security Compliance Manager v2 available for download. 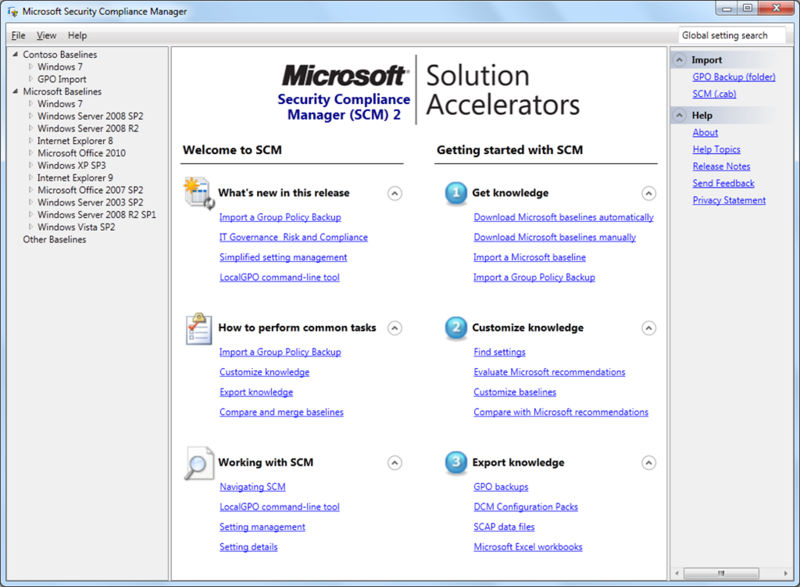 In case you don’t already know SCM is a great security analysis tool for your Microsoft products that works great with Group Policy but also with SCCM Desired Configuration Management (DCM) and Security Content Automation Protocol (SCAP). and here are some other links that are relevant. The good news is that you can apply the RTM version as an upgrade if you already have the beta version installed. So go forth, download and install it now from Security Compliance Manager 2.